Sign-up to our e-mailing list to receive a periodical newsletter outlining industry updates and insights into the type of dilapidation to look out for to avoid costly repairs. BAAM Consulting is committed to seeking out and retaining the finest talent to ensure top business growth and performance. We are committed to our company values and expect our team to adopt them in their work too. Excellence is our intention and we seek to achieve the best outcomes through outstanding performance. The dedication and commitment of our team allows us to strive for this. BAAM Consulting employs a team of highly qualified industry experts. Our employees have a passion for the BAAM brand and business. 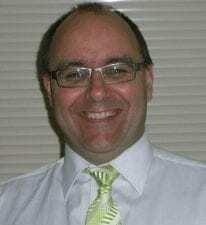 Grahame is the Director & CEO of BAAM Consulting, having first joined the team in November 2002. Grahame is a pragmatic remedial consultant with expertise in concrete durability and condition assessment of structures residential and commercial strata buildings, waterproofing, materials and façade condition assessment, specifications, tender and contract administration. He is also considered an Expert Witness in Home Building Act warranty claims. Prior to joining BAAM, Grahame held the position of senior engineer for approximately 5 years at Strata Engineering Solutions. 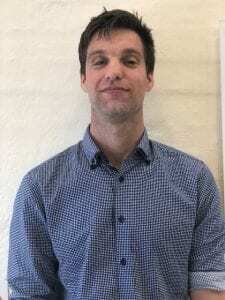 Grahame earned his BE(Civil), from the University of Technology, Sydney and his Master of Engineering Studies, from the University of Sydney. His final year paper was focused on Concrete durability deterioration causes, assessment and remediation. 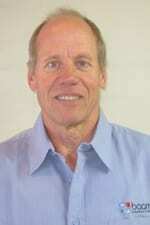 He has been an invited speaker for various industry bodies including Concrete Institute of Australia, Australasian Corrosion Association, Australasian Concrete Repair Association, and Cement & Concrete Services (now Engineering Training Institute Australia), and the Sydney- and Auckland-Build expos on various topics including concrete repair specifications, processes of concrete deterioration, and forensic investigations. 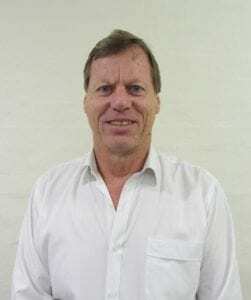 Additionally, Grahame has held the roles of President, Vice President and Treasurer on the NSW Branch for Australasian Corrosion Association (ACA NSW), having served on the committee since 2005, and is past committee member of the Durability Task Group 1 for the Concrete Institute of Australia. Since October 2017 he has served on the Board of ACRA (Australasian Concrete Repair Association), and is currently holding the role of Vice President. He has also judged for the commercial division of the Newcastle MBA Awards in 2012 and 2013, and for the ACRA bi-annual awards in 2014. In October 2018, Grahame acquired the business unit and assets of Total Scan & Survey Australia, bringing specialist geophysical expertise in Non Destructive Testing of concrete to the business group. Anthony’s experience is predominantly in water services and heritage structure asset management with Sydney Water. With over 30 years engineering experience, his areas of expertise include investigation and project initiation, reporting and scoping, litigation support in residential, commercial and infrastructure sectors, tender and contract administration and project execution. 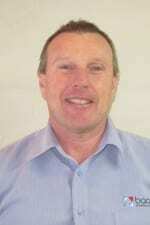 Prior to joining BAAM, Anthony held various engineering and management positions at Sydney Water from 1984 to 2009. Anthony earned his BE(Civil) from the University of NSW, and his Master of Business Administration (MBA) from Deakin University. Mark is a Carpenter and Joiner by trade and holds a current Builders License, he has 36 years experience ranging from residential cottages, villa’s and townhouses to large residential projects with top tier contractors. He has extensive project management, business management and supervisory experience, as well as experience in liaising with sub-contractors, architects, Councils and private certifiers. His years of hands on experience has made him a valuable member of the team with his eye for detail and knowledge of the construction phase complying with all relevant Building Codes and Australian Standards. His ability to communicate with all levels of site staff and recognising the contractual relationships involved are an asset when providing periodic attendance during remedial works and site inspection / investigation coordination services. Prior to joining BAAM 7 years ago, Mark was employed as Site Foreman / manager and completed a high rise residential project of 168 Units over 5 separate buildings, coordinating up to 150 personnel on site daily, he also ran his own Construction business for 23 years. Phil’s experience is predominantly in construction, asset management and water and waste water infrastructure maintenance. With over 25 years experience, his areas of expertise includes investigation, reporting, with Quality, OHS, Environmental management and Contract administration through to completion of the project. Prior to joining BAAM, Phil held contract and construction management positions at Sydney Water and Australian Water Technologies from 1987 to 1999. He then moved into contract delivery management positions for a number of corporations in their services and asset rehabilitation business units including Tyco, and Water Infrastructure Group. Phil earned his BE(Civil) from the University of NSW.